The romance of the platform tea. Frothy, extra-sweet, moderately milky, ginger-flavoured and aggressively invigorating. Such is the chai you’ll find on platform No. 2 in the Gurgaon railway station. The tea, however, is punchier in some mysterious way. It has the deep aroma of a brew that has spent deliciously long hours simmering in the kettle. But that can be true of tea in the thousands of other stalls in the National Capital Region (NCR) too. 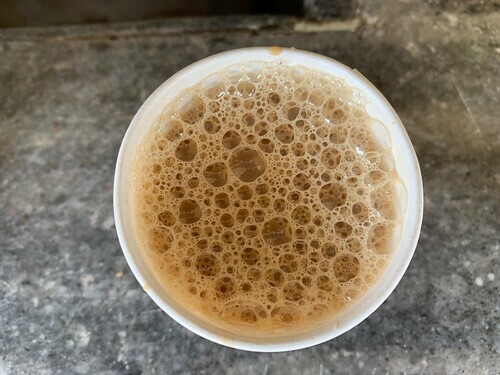 Could it be that the chai here is special because the refreshing flavour is imbued with the thrill of trains and journeys? But the stalls in platform No. 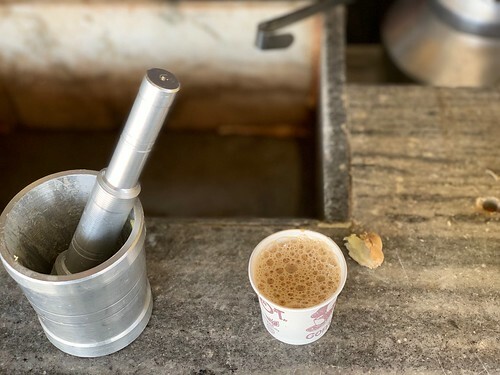 1 are similarly permeated with the mood of travel and their chai is unmemorable. 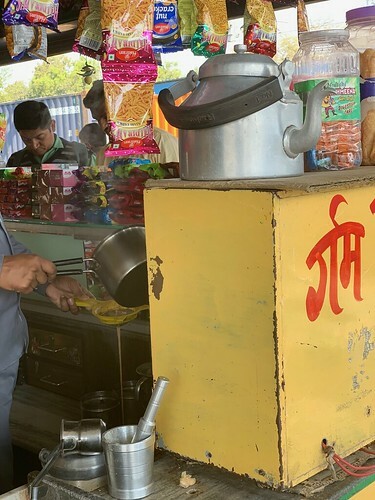 In brief, you ought to luxuriate over an unhurried tea hour at Giriraj Sharma’s 20-year-old stall. Platform No. 2 landmark is easy to spot. There’s the kettle on the counter, with ginger chunks littered aroun it, along with a prett silver-coloured mortar-and-pestle to squash the ginger. This afternoon, the stall is manned by owner’s son, Bhupinder. The young man is chatty with travel waiting for their passengers and expresses, and is talking to them like a trusty neighbour. The trick is to get the chai and settle over the adjacent bench. The scene right now is a fair representation of any ordinary day in this small station. A man is asleep on the dusty floor. Two girls are watching the old Sridevi starrer Nagina on a mobile phone playing to full volume. A shoeshine is trying to spot a distant plane. Suddenly, a maal gaadi thunders past the platform. Its clattering shocks everyone out of their stupor. The train is gone a minute later and the platform again slumps back to its sleepy normalcy. Bhupinder’s stall, washed in the aroma of chai, is the only thing feeling wide awake, alert and fresh. 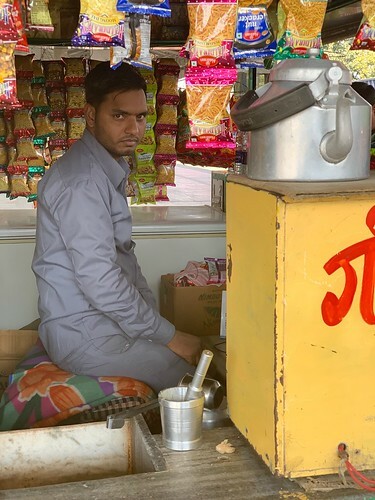 Until eight years ago the stall served the drink in good old kulhars. 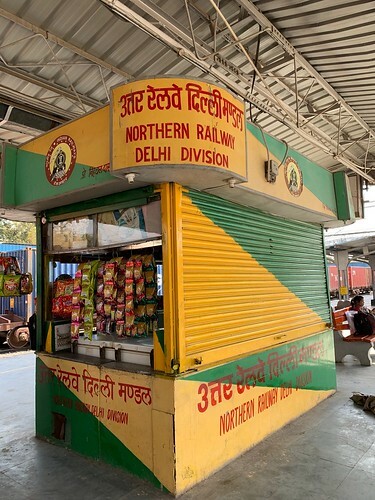 Sadly those disposable earthen cups are no longer permitted in the station because “tracks used to be covered with their broken shards,” explains Bhupinder. No great loss that. To feel the absence of the kulhar, too, is an experience, filled with a kind of romantic regret, a thing tenderly evoked by the platform No. 2 chai.